"A person does not lightly elect to oppose his society. One would much rather be at home among one's compatriots than be mocked and detested by them. And there is a level on which the mockery of people, even their hatred, is moving, because it is so blind: It is terrible to watch people cling to their captivity and insist on their own destruction." The words of our ancestors from the Harlem Renaissance are time eternal words of guidance. They did not only apply to that time period but to future generations, us. 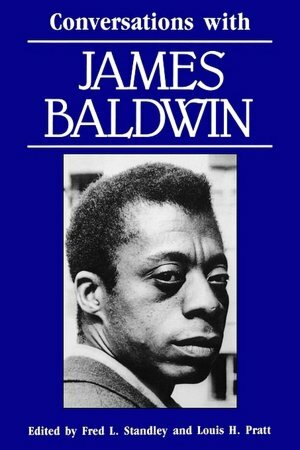 James Baldwin's words applied to all of humanity, not just America. We have all the guidance, past leadership, and history we need. Stop looking for someone else to be like them. You be like them. We the people bear a partial responsibility for our current economic condition. We trusted others and not ourselves. We did not focus on us, we became distracted by the glamour and glitter of Hollywood ignoring the advice from the ages, “all that glitters is not gold”. We allowed ourselves to be controlled by the marketing campaigns of Madison Avenue to create wealth for the wealthy and not ourselves. Those of us who achieved a miniscule about of prosperity, forgot to heed the warnings. We celebrated for far too long the accomplishments of the Civil Rights era and missed that the battle for human rights never ends. We see today, the blindness of fear, paranoia, and disrespect published across all media globally. We see the blindness of fear, paranoia, and disrespect in how we treat each other. The words of the authors and poets of the Harlem Renaissance are for all of humanity. Time for us to reawaken and hear their guidance, for the responsibility for a more just world is with each of us. Time for us to be conscious of what we think, say, as well as, how we spend our time, money and energy. We can create a new reality with our thoughts in action based on prosperity for all. Yes there are those that are threatened by that and have a negative label for it. If we all contribute to building and sustaining prosperity for all, we are all working, earning and living the life of spiritual beings in human form. It is about so much more, stop being distracted. To learn more about how, read and listen to the Quantum Activist, http://www.quantumactivist.com/. We are the change we seek. We have the power.